AMTA offers 50+ benefits of membership, including several discounts on products and services to help your massage practice thrive. As an AMTA member you can save on marketing materials at Vistaprint! The AMTA 2017 National Convention in Pasadena, California, September 14-16, was an outstanding success and ranks as the largest convention in the American Massage Therapy Association’s history! 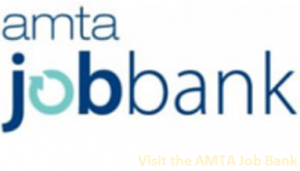 AMTA’s 2020 Call for Speakers is Now Open! The American Massage Therapy Association is 90,000 Members Strong!